Last week Gunnar Wiegand from the European Commission announced that the EU was going to extend sanctions against Belarus. 135 more people may be added to the existing list of 208 Belarusian officials who are prohibited to visit the EU. Diplomatic sources also suggest that one or several Belarusian enterprises may be added to the ban list. Europe wants to show that it cares about the situation in Belarus. Some even hope that Belarusians will soon revolt. But this 'tough love' approach is counterproductive. Despite the worst economic crisis in Belarus since the collapse of the Soviet Union, the number of those who are willing to protest diminishes. Ironically, the highest number of protesters in this century was in December 2010 when Belarusians were much richer than they are today and Europe pursued the policy of engagement. The EU Council of Ministers may make its final decision on January 23. Instead of wasting their time and efforts on introducing yet another round of symbolic sanctions, the European Union should come up with fresh ideas how to empower and integrate Belarusian society. The EU should invest into making its presence in Belarus more effective to get enough political and economic leverage to influence the situation there. The EU imposed its first set of sanctions on 31 January 2011 after fraudulent presidential election and repression of opposition rallies. Then it extended them several times over the year in hope to free political prisoners, including former presidential candidates Andrei Sannikov and Mikalai Statkevich who were sentenced to 5-6 years of imprisonment. In 2011 American politicians supported the isolation policy and imposed economic sanctions against important state-owned enterprises JSC Naftan, JSC Grodno Azot, JSC Grodno Khimvolokno and JSC Belshina. On 3 January 2012 US President Barack Obama signed the Act on democracy and human rights in Belarus that is intended to provide additional support for Belarusian civil society. The Act extends existing visa and financial sanctions. It also appeals to the the organizers of the World Ice Hockey Championship 2014 to move it from Belarus to another country. Nevertheless, all these actions hardly help Belarus become democratic. Quite the contrary, the human rights situation in Belarus has significantly deteriorated in comparison with that of the period between 2008-2010 when the EU and the USA pursued an engagement policy. For example, this week jailed Belarusian opposition activists were placed under even stricter conditions. Earlier Belarusian authorities restricted the freedom of assembly with the introduction of new legislation that requires permission for any street actions such as flash-mobs or 'silent' protests. 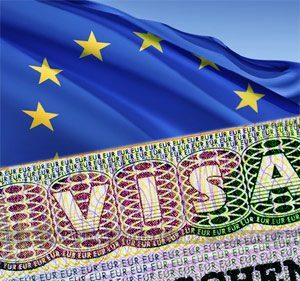 Many EU politicians and some people in Belarus claim that visa sanctions play a great symbolic role. In reality, however, some of those on the EU travel ban list travel to the EU without restrictions to attend events organized by intergovernmental organizations. Look at the facts: the First Deputy Interior Minister Oleg Pekarsky traveled to Vienna to participate in the UN round table on 24 March 2011. Belarusian TV propagandist Alexey Mikhalchenko visited Lithuania to take part in the OSCE Council of Foreign Ministers summit in December 2011. Finally, Anatoly Kuleshov, Minister of Internal Affairs, made an official visit to the INTERPOL General Secretariat in Lyon earlier this month. Kuleshov is personally responsible for repression of the post-election opposition demonstration. Economic sanctions are a key for change? Some isolation policy advocates argue that the only way to change the situation in Belarus is to impose harsh economic sanctions to force the collapse of the Belarusian economy. For years the most radical representatives of the Belarusian opposition hoped for the revolution on economic grounds. Last year, the worst economic crisis since the collapse of the Soviet Union occurred in Belarus, but no revolution took place. The average salary in Belarus is now the lowest in the region. However, Narodny Skhod and other opposition rallies that had been specifically arranged to protest against deterioration of the economic situation gathered less than a thousand people. The numbers were much higher after the presidential elections in December 2010, when there were no sanctions, and people were earning much more and had fewer reasons to be unhappy than today. Take the Moscow protests as another example. More than 100 000 people participated in December 2011 in the demonstration against the United Russia Party in Moscow, the richest city in the post-Soviet space. This happened because young Russians can easily travel to Europe, actively use the internet and many have a Western education. Belarusians now have much more practical problems to resolve than changing the regime. There is no time to think about democracy when there is nothing to eat at home. Sanctions look like a good and morally correct response to what is happening in Belarus, but international experience shows that unfortunately they fail to bring the expected results. The Cuban regime has not changed, Iran and North Korea have not stopped in their development of their nuclear programs. The Soviet Union has been dismissed by Soviet leaders themselves, not due to the magical effect of the 1974 US Jackson-Vanik Amendment. Azerbaijan and Kazakhstan are not very democratic countries today, but it did not impede Kazakhstan from heading the OSCE in 2010 and Azerbaijan to become a Council of Europe member. What is more important, European and American sanctions just create favourable conditions for Russia to buy or privatize Belarusian enterprises and other assets for a lower price. Belarusian companies become less attractive to Western investors when they are included in the ban list. In such situation Belarusian authorities are forced to rely on Russian support for their survival. Consequently, it motivates Belarus to participate in the Eurasian Union project with Russia and Kazakhstan. A new engagement policy intended to foster Belarus-EU ties on all levels could be a better alternative. The EU needs to develop contacts with Belarusian civil servants and businessmen that have a great influence over the situation in the country. At the same time, the EU should increase its support for civil society, reduce visa fees and make a large-scale expansion of employment, internship and education opportunities for Belarusians. Increased engagement would help more to release political prisoners than yet another round of good old sanctions. Belarusian authorities have not changed their ways in 2012. The former presidential candidate Mikola Statkevich will be transferred to a detention facility with harsher conditions, the KGB is trying to recruit new informants and more democratic activists are under pressure. 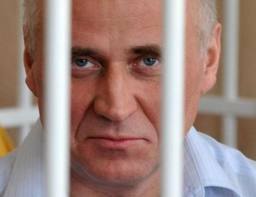 Statkevich to be moved to cell-type prison. On January 12, in a trial that took place in Correctional Institution #17 in Shklow, Mahilyow region. The convicted former presidential candidate Mikalay Statkevich was found guilty of violating prison rules and must be moved from the facility to a higher-security prison for three years. The charge was brought against Mr. Statkevich because of his missing number tag and failure to mention handkerchiefs among his personal items. In May 2011, a district judge in Minsk sentenced Mr. Statkevich to six years in a medium-security prison, finding him guilty of organizing "mass disorder" in connection with the December 19, 2010 post-election protest. Opposition youths say that KGB attempted to recruit them as informants. Five members of an opposition youth group called Malady Front (Young Front) revealed to reporters on January 9 that officers of the Committee for State Security (KGB) had attempted to recruit them as informants. The young men were contacted by KGB officers while they were serving jail sentences in the detention center on Akrestsina Street following their arrest in Minsk on December 19, 2011. Two jailed over protest in front of KGB office. An opposition activist Mikita Kavalenka who demonstrated in front of the headquarters of the Committee for State Security (KGB) in Minsk on January 8 and a Belsat TV reporter Alyaksandr Barazenka who filmed the protest were sentenced to jail terms on January 09. Kavalenka was sentenced to 15 days in jail, Barazenka was handed an 11-day jail term. Both were found guilty of participation in an unauthorized demonstration under Article 23.34 of the Civil Offenses Code. Dunja Mijatovic, the OSCE representative on freedom of the media, condemned on January 11 the sentencing of Belarusian journalist Alyaksandr Barazenka. Seven Russian urban explorers left Belarus after serving out jail terms. On January 12, seven Russian urban explorers served out their 10-day jail sentences and boarded a train for Moscow. They were part of a group of 13 young people from Russia who were arrested at a hotel in Minsk on January 2 following complaints about their rowdy behavior and sentenced to jail on charges of disorderly conduct. The Russians have been banned from traveling to Belarus in the next five years. Vitsebsk opposition activist Siarhei Kavalenka faces three years of prison. Vitsebsk activist of the Conservative Christian Party “Belarusian Popular Front” Siarhei Kavalenka may be imprisoned for up to three years for alleged violation of suspended sentence restrictions. The activist is currently held in a local detention center and has gone on a hunger strike in protests against the criminal prosecution. Siarhei Kavalenka refuses to stop his hunger-strike. Siarhei Kavalenka, a Vitebsk member of the Conservative-Christian Party “Belarusian Popular Front”, has been placed in a detention facility. He has been on hunger strike from December 19 protesting against criminal prosecution. He is charged with violating article 415 (avoidance of serving sentence) for violations of the rules of serving suspended sentence. The activist may face up to three years in prison. Sviatlana Chornaya continues hunger strike against death sentence for Kanavalau and Kavaliou. A disabled woman in Minsk continues her hunger strike in protest against the death sentence passed on Dmitri Konovalov and Vladislav Kovalyov in the subway bombing trial in Minsk. Svyatlana Chornaya, who has a second-degree disability, began the strike on November 30. The new Belarusian calendar for the next 8 years. Advertising consultant Julia Lyashkevich and designer Baba-Zhaba have created "Prison Calendar" to help understand the feeling of time in custody. The Calendar is to remind people of political prisoners and all unjustly imprisoned in Belarus. Law Enforcement Officers Have Access to Restricted Sites in Bynet. The amendments to the Code of Administrative Offences and the Procedural-Executive Code of Administrative Offenses have taken effect on January 6. Now Internet providers, still making access to the restricted information in the government offices and educational institutions available, will be subject to a fine. Law enforcement agencies are the only open-shelf representatives of state structures. As Euroradio reports, about 60 online resources are included in the list of restricted access in Belarus. Most of the "blacklisted" resources are pornographic, but as well as some prominent opposition websites such as charter97.org, belaruspartisan.org, spring96.org, prokopovich.net, prokopovi.ch, Lipkovichea.livejournal.com. BHC is under threat of liquidation. The Ministry of Taxation requests the Ministry of Justice to initiate a process of liquidation of the Belarusian Helsinki Committee. Under the law, NGO activities can be suspended or liquidated if an NGO has received two warnings over a one year span of time. BHC has received two warnings for violating tax laws. BHC is the single registered human rights organization of the national level in Belarus. Justice ministry suspends consideration of Belarusian Christian Democracy’s registration application. The Belarusian justice ministry has notified Belarusian Christian Democracy (BCD) that consideration of the party’s application for registration has suspended for a month, without explaining the reason, BCD Executive Secretary Dzyanis Sadowski said. The party filed its registration application on December 20, 2011, after holding another, fourth founding conference.